Splintered Forest is proud to be a local Evergreen business with a shop located between Conifer and Evergreen in the Marshdale area. 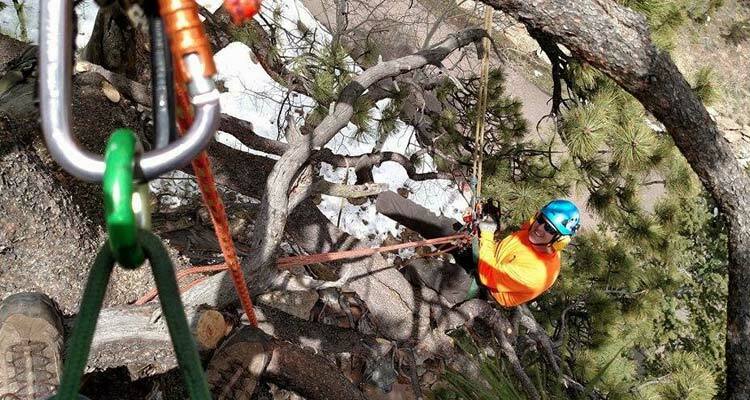 Our crew members work and live in the mountain area so they understand the unique challenges that you face as a homeowner up here including dealing with the threat of wildfire. 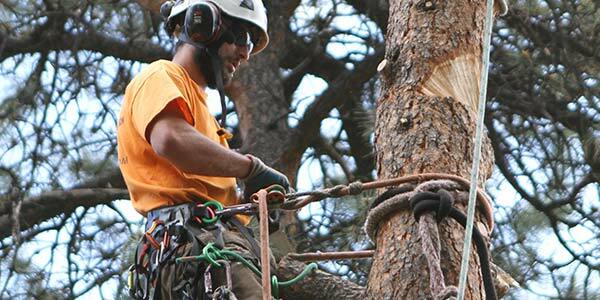 To help you overcome these challenges, our ISA Certified Arborists will come provide you with a free, written estimate for the work to be completed. Whether you are being required by your insurance company to complete mitigation or just want to make some aesthetic changes to your property, the Splintered Forest crew can help. The Splintered Forest crew believes that every property in Evergreen has its own unique needs and what works for one property, won’t necessarily work on another. That is why we work closely with Evergreen homeowners to develop an individual mitigation plan that is tailored to their wants and needs, but also to assure that the property is properly mitigated based on guidelines put out by the Colorado State Forest Service (CSFS). Splintered Forest’s ISA Certified Arborists provide suggestions of trees that need to be removed by marking trees with colored tape versus spray paint. This allows homeowners to make comments about trees that were chosen for removal and doesn’t leave a permanent mark on the tree trunk.